BEIJING: China announced on Monday an 8.1 percent defence budget increase for 2018, giving the world’s largest armed forces a boost after spending slowed in the previous two years. Beijing will spend 1.11 trillion yuan ($175 billion) on its military, according to a budget report presented before the opening session of the annual National People’s Congress, according to the official Xinhua news agency. The outlay compares with a seven percent increase last year and 7.6 percent in 2016, which marked the first time in six years that spending growth was not in double figures. China spent $151 billion on the People’s Liberation Army last year, the second largest defence budget in the world but still four times less than the $603 billion US outlay, according to the International Institute for Strategic Studies, a London-based think tank. The defence budget increase has roughly followed the same pace as China’s national economic output in recent years. The economy grew by 6.9 percent in 2017 and the government said Monday it will target growth of around 6.5 percent in 2018. 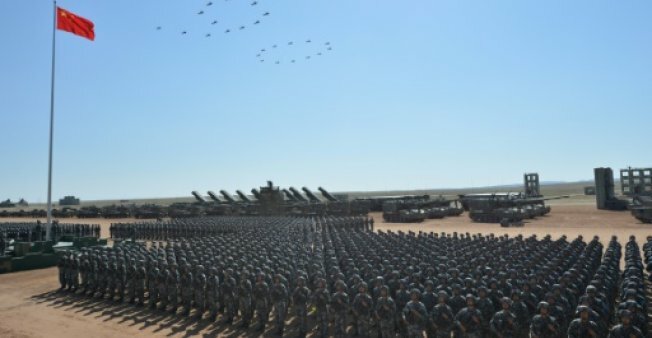 China’s neighbours and the United States have watched warily as Beijing has modernised the world’s largest army, reducing its ground troops to two million soldiers while spending on state-of-the-art hardware and weapons.